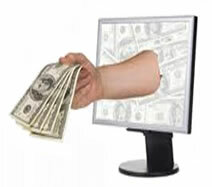 EARN $$ – Need or want extra income? We love the arts and we love to share them. We would also like people who study with us to have the opportunity to earn money sharing something that they love. or to take a champagne bubble bath, if I want. We are in the process of setting up an income opportunity for our courses, Webstore products at our store store.ninjutsu.com and our upcoming Bushindo Life Mastery System where you can directly earn high percentage fees for every person that enrolls in a course with us (this one will be several hundred dollars per person that enrolls – buy your way in or earn $$). HAVE A WEBSITE OR DOJO? A whole line of products of Soke Hatsumi and Master Richard Van Donk are available for you to purchase wholesale and sell in your dojo, store or website. E-mail us at info@Bushindo.com ot call Becky at 707-987-9322 if you are interested in a wholesale account. Contact our office at 707-987-9322 for more information. We are in the process of setting up a complete affiliate plan with all the marketing done for you. You just have to lead people to the page from a personalized link that includes your code and you will earn $$ from every purchase that they make from your link. Direct them their by e-mail or social media. It is a win – win for both you and the University.